Impress Computers is Katy’s and Houston largest Computer and Laptop Repair Store on the West Side of Town. If you need same day service on computer or laptop repairs then you have come to the right place. We put people before technology. This means that instead of simply “checking off boxes” on a list of Managed IT services requirements and forcing your employees in Katy and Houston to work within these technological confines, we focus on people and their needs first. Business Class Workstations, Laptops and Servers in stock – no waiting for orders to be processed. Complimentary VCIO (Virtual Chief Information Officer) – providing strategic and tactical planning, IT Procurement, IT Growth Strategy, IT Budget Initiatives. Need Emergency Computer Support Now? Call us at 281-647-9977. Customers prefer us for laptop/desktop computer repair and service in Katy and beyond. With over a decade of experience behind us, Impress Katy IT solutions and computer service store is loved by clients all over Texas. Our remote services extend across the USA. The projects that we undertake, are completed by professional, trained and exceptionally qualified, locally based technicians. They love our quick quotes: Most customers love the way we work. The moment you send us a query, we get back with a quick estimate. We are open to customization: As a business-owner, you could be working on a tight-budget. Keeping this is in mind, we can customize IT solutions for you based on your budget. So tell us what you’re looking for and your budget, and we might just surprise you with our lowest quote! Emergency calls answered: “I really need it now!” – we hear this often. And we understand that emergencies need to be taken care of. We make sure your urgent requirement is taken care of within your timelines! Customer-friendly budgets: If you’re really thinking about purchasing new hardware or software computer products, we’d love to advise you about the latest and greatest systems. We know that home and business needs differ, and so do budgets. So expect us to give you a pocket-friendly, buying advice. After-sale support: If you’ve purchased from us, you’d love our after-sale support. In the warranty period of the product, we make sure there are no hassles in replacements or repairs, come what may! Your local computer service store: If you really want to come down to our store, just drive down! We would love to show you our range of products or even repair your system instantly. We are in your town and very local. Computer repair near me – Impress Computers always has you covered. Remote assistance available across the USA! If you’re considering an onsite installation or repair, maybe a dedicated server system, or even something as simple as setting up your current computing system for success, just talk to us about it. We travel the width of the state to make sure our customers get the most customized IT solutions. 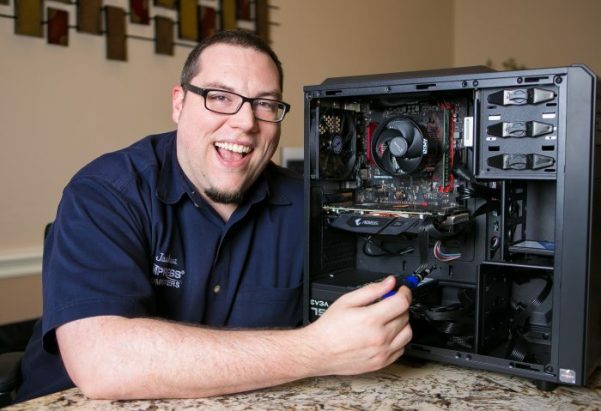 Our network engineers make sure that Katy computer services and IT solutions, including installation, maintenance, and troubleshooting is taken care of in every way – there’s no need for a do it yourself PC repair. Our extensive team is available in distant locations in the state of Texas for onsite computer service and server installations. If you’re looking for remote managed IT support in Katy or outside the state of Texas, then speak with us at 281-647-9977. Remote computer repairs are also possible for certain issues. Do inquire about this, before you plan to visit our full service computer repair and IT solutions store in Katy TX. 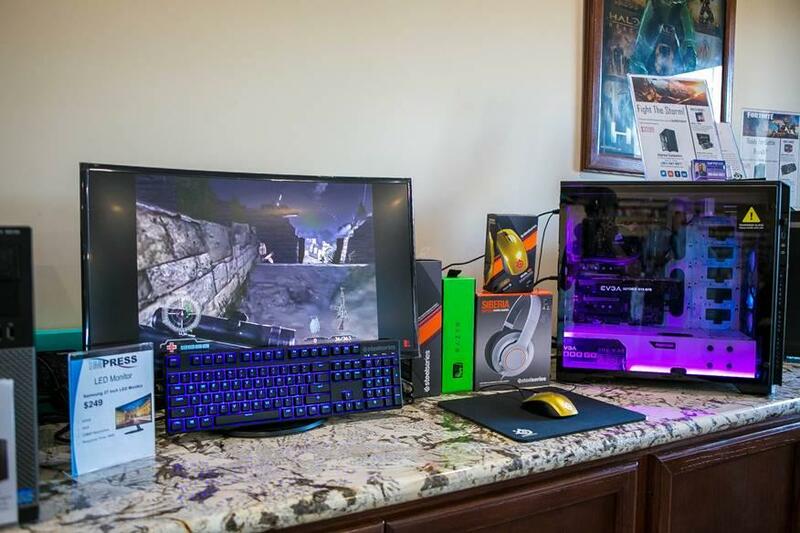 If you’ve been thinking about buying a new computer system or accessory, you could also purchase online with us. Our website has an exhaustive range of the latest computer resources and products available at our physical store. At any point in time, should you need any clarification with respect to your purchase, just talk to us at 281-647-9977. We’ll be happy to assist you with more information on any technical computer issues. All products purchased online are delivered to your address within 7 days from the day of purchase. In case your location is beyond our computer service area, we might just take an 3-5 extra days. You should talk to us about the exact delivery date, if your purchase is a priority purchase we can express ship it to you. Computer Virus Removal Katy, TX – Need it urgently? In case your system keeps crashing, shows a blue/black screen or is just not switching on – the system probably just got bugged and you should clean your PC. At Impress Computers, our computer repair engineers are pros at solving such issues within a couple of hours. We are proud of our geek team. They are experts at diagnosing computer problems and providing IT solutions. You could either call us at 281-647-9977 and plan your visit to the store, or talk to us at an emergency cell number i.e. 713-724-5858. Computer tune-up: This is especially for systems which are working slow or hanging-up often. Laptop screen repair: A cracked laptop screen can be annoying. At Impress Computers, we repair such screens within a few hours. Talk to us about this need! Operating system installs: Yes, you heard it right! This long and tedious process can be outsourced at Impress Computers Katy TX. Toners for your printers: Let us know a day in advance, and we’ll get your printer the best toners possible. Have you been dreaming of a full sized media room at your workplace? This is now possible with our latest Audio/Visual Service. Our network engineers can setup a complete conferencing office for you. We bet, this could just be a new milestone for your growing business! Also, do care to ask about our latest deals on products before finalizing a purchase. You might just get lucky with a surprise discount! Need emergency support now? Call us at 281-647-9977.